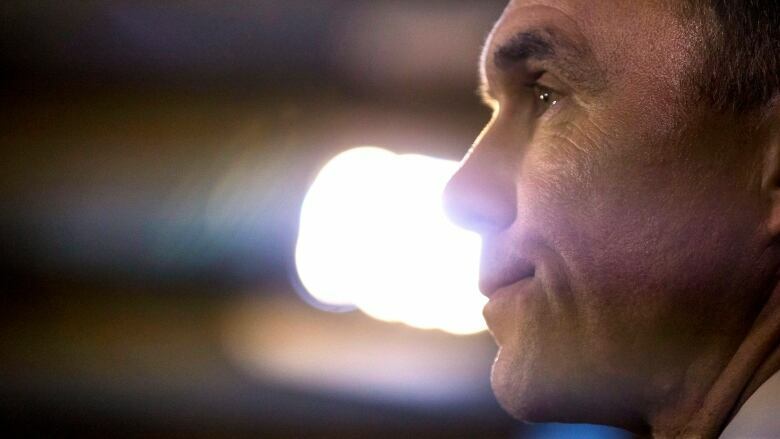 When Finance Minister Bill Morneau sits down with his G7 counterparts this week, his goal will be to push the principles outlined in his latest budget onto the international stage. U.S. President Donald Trump may make that difficult. 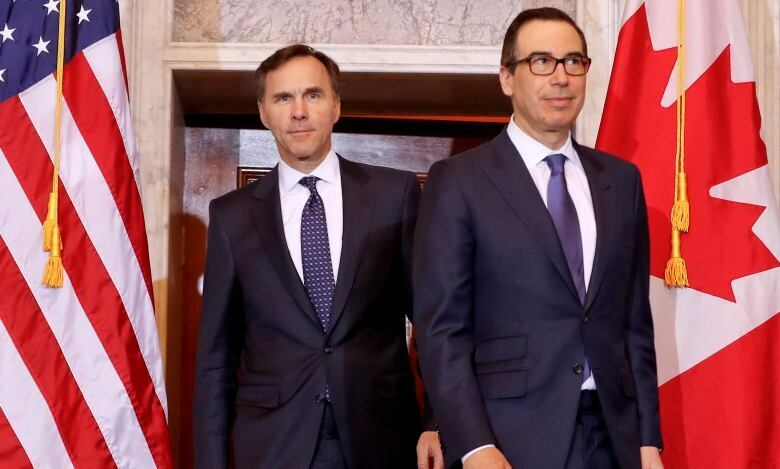 When Finance Minister Bill Morneau sits down with his G7 counterparts this week, his goal will be to push the principles outlined in his latest budget onto the international stage. But Morneau's biggest obstacle in going global likely will be continental. The formal agenda for the meeting of G7 finance ministers and central bankers, running from May 31 to June 2 in Whistler, B.C., is filled with topics familiar to Canadians — gender equality, the advancement of women and girls, growth for the middle class and those "working hard to join it" (to cite a phrase the Liberals love to repeat). This meeting takes place in advance of the full G7 leaders meeting, which sees heads of government meet in Charlevoix, Quebec on June 8 and 9. But the sidelines of the meeting — the informal agenda — will be dominated by what amounts to the G6: finance ministers from countries other than the U.S. discussing their frustration with the Trump administration. The European Union and Canada are just days away from seeing tariffs slapped on their steel and aluminum industries, ostensibly ordered by the administration of U.S. President Donald Trump to protect American national security. The EU and Canada have tariff exemptions right now, but those are set to expire on June 1 — right in the middle of this summit. At the same time, the U.S. has started the process to impose similar national security tariffs on auto imports. Canada is in the crosshairs, as are major car-making nations such as Germany and Japan. So there could be some grumbling and gritted teeth when U.S. Treasury Secretary Steven Mnuchin arrives in Whistler to meet with his counterparts and speak for a president who continues to push against the decades-long global consensus on multilateralism. Mnuchin is among the few cabinet members who have been with Trump from the beginning, having survived the constant churn of high level U.S. officials in the Trump administration. Speaking to reporters at a pre-G7 briefing, a Treasury official said Mnuchin will explain the motivation for the tariffs as many times as is necessary. That could be quite a few times. Trump's increasingly protectionist trade policies have ensnared every single member of the G7 in one way or another. The latest move — a proposed tariff on auto imports dressed up as a national security measure — drew a sharp rebuke from Prime Minister Justin Trudeau, who described it as a nonsensical NAFTA negotiating tactic that will hurt the entire North American economy. "We know everything is tied to the ongoing negotiations with NAFTA," Trudeau told reporters recently in La Malbaie, Que., where the G7 leaders will meet next week. So it will be Morneau's job as chair of these meetings to try to hammer out a consensus on areas where the countries can agree — inclusive growth, helping workers adapt to technological change and cyber security, among others. The idea is that this meeting will set the table for the major economic issues the G7 leaders will discuss next week when Trump makes his first visit to Canada as president. But here's another sign of how hard that consensus will be to achieve in Whistler: there are no plans at this point for a joint communique. Instead, Morneau will issue a 'chair's summary' listing the outcomes of these meetings. Morneau wants Canada's domestic agenda to feed the international agenda. His problem is that the international agenda can sideswipe the domestic one.